Chute magnets are mainly used for powder streams in free-fall or chute applications. The angle of the chute may not exceed 45° from the vertical. 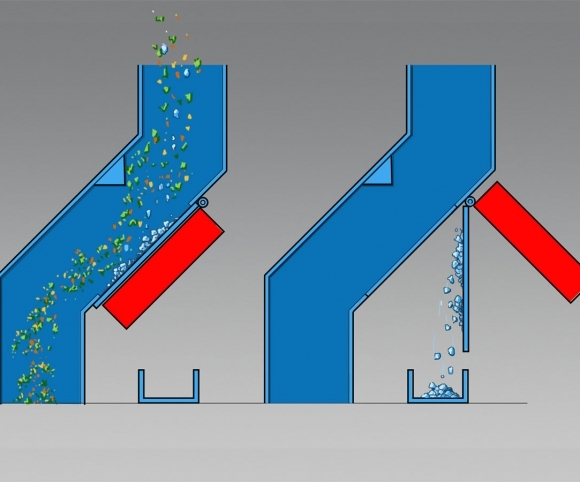 Chute magnets are a simple solution for removal of iron particles, are easily installed and deliver good results. Chute magnets have robust magnetic plates that are placed behind a stainless steel (extractor) plate. 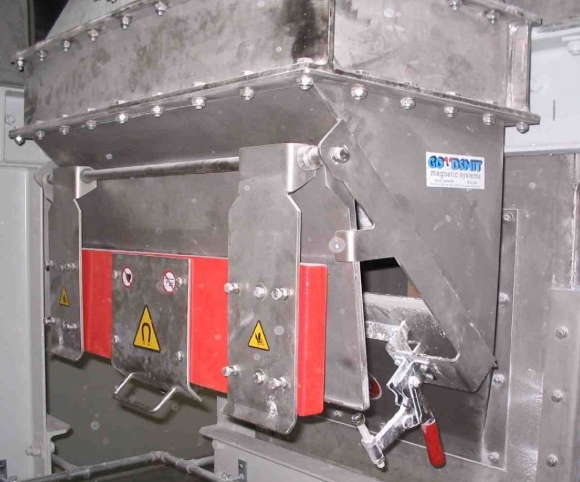 The magnets attract the Fe particles, which are then held securely against the extractor plate. 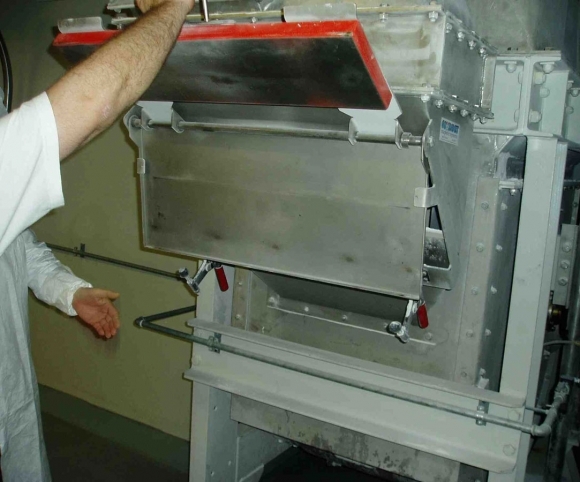 Cleaning of the chute magnet is performed through use of an extractor plate (quick cleaning), by swinging the extractor plate away from the magnet; the Fe particles fall off of the extractor plate as soon as they are moved far enough away from the magnet. For reasons of safety, the operator must operate the chute magnets with two hands. 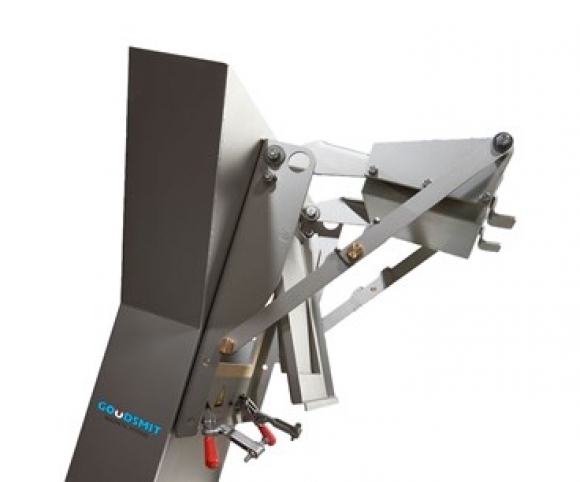 The magnets are secured in the outermost cleaning position, after which the operator has both hands free for cleaning.